The PC maker is trying to persuade owners of VMware tracking stock to accept a big discount to the tracked shares, a whopping valuation for its own equity, and third-class voting status. 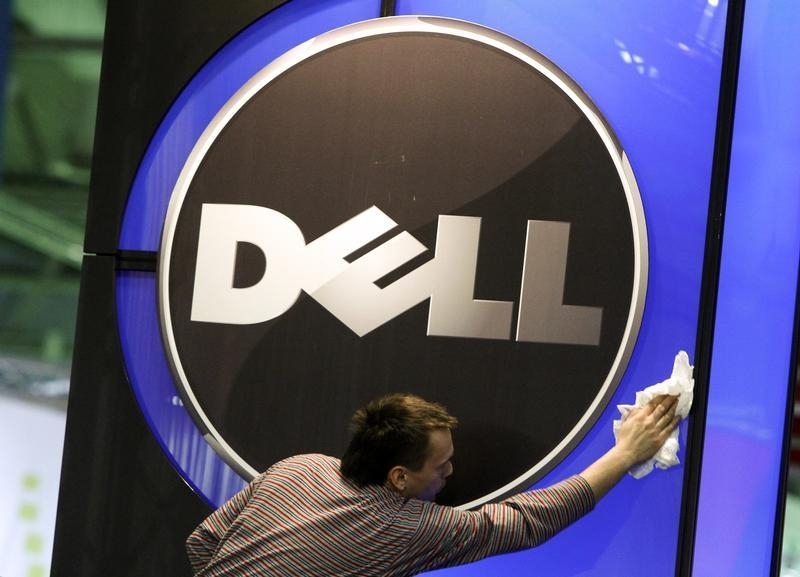 The simplification ought to appeal, but Dell’s $22 bln offer includes too much to dislike. A man wipes the logo of the Dell IT firm at the CeBIT exhibition centre in Hannover February 28, 2010. Dell Technologies held an analyst day on Sept. 18. The company, controlled by entities associated with founder Michael Dell and private-equity firm Silver Lake partners, said on July 2 it would buy back tracking stock it issued to mirror the performance of VMware in a cash and stock deal, taking a step closer to a full return to the public market. Dell, which owns around 80 percent of VMware, issued the tracking stock, with ticker DVMT, in 2016 to help fund its purchase of data-storage firm EMC. The tracking stock, designed to offer economic exposure equivalent to owning VMware stock directly, has traded at a wide discount to the Dell subsidiary’s common shares ever since. The elimination of the tracking stock is aimed at simplifying Dell's complex ownership structure without overburdening its balance sheet. Dell is offering a notional premium of 29 percent to the June 29 closing price of DVMT shares, representing a total value of $21.7 billion. Of that, Dell will pay up to $9 billion in cash and the rest in Dell’s Class C stock. The company said it would list its Class C shares on the New York Stock Exchange following the completion of the deal.